Professor Llosa is Phd in Economics, University of California, USA. Master in Economics, University of California, USA. Bachelor of Economics, Universidad del Pacifico, Peru. Regarding his previous professional experience, he has worked as a Research Fellow in the Department of Economics at University of California at Los Angeles between 2009 and 2013, Consultant of the Research Department of the Inter-American Development Bank between 2005 and 2007 and Economist the Central Reserve Bank of Peru between 2002 and 2005. In connection with its intellectual production, he the author of the following articles “Learning About Monetary Policy Rules When the Cost-Channel Matters” (Journal of Economic Dynamics and Control, 2009) with Vicente Tuesta, “Determinacy and Learnability of Monetary Policy Rules in Small Open Economies “(Journal of Money, Credit and Banking, 2008) with Vicente Tuesta,” a BVAR forecasting model for Peruvian inflation, “(Money Affairs, 2006) with Marco Vega and Vicente Tuesta,” Using additional information in estimating the output gap in Peru: a multivariate unobserved component approach “(Money Affairs, 2004) with Shirley Miller,” Examining some dilemmas of economic policy with a structural model “(BCRP economic Research Journal, 2004). He has also collaborated in the article “A semi-structural projection model for the Peruvian economy” (BCRP Economic Research Journal, 2009) by Marco Vega and others. His current research focuses on various topics such as synchronization of business cycles under different levels of financial integration, fluctuations in the labor market with firing costs, effects of public information on economic cycles and efficiency of acquiring private information in decentralized markets. 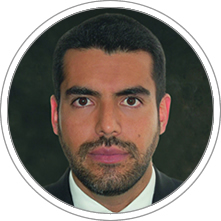 He is currently Manager of Investment Strategies at Profuturo and Professor in the Academic Area of Finance, Accounting and Economics at CENTRUM Catolica Graduate Business School.